Home USA Online Casino Blog Industry Insights Which Casino Stocks Pay the Best Dividends? Which Casino Stocks Pay the Best Dividends? A number of gamblers are trying their luck with new and entertaining games that can be played live or online. Some gamers even search for casino resort facilities to make gambling the main activity of their luxury vacation. However, investing in casino stocks is another way to earn a substantial sum of money. When you have stock in a casino company, you will receive a percentage of the profits when the company brings in revenue. Which stocks pay the best in terms of dividends? Here are a few to consider. The current yield for this stock is 0% and the current price and yearly dividend is zero as well. The 52-week high for ASCA stock is 27.18 and the low is 16.48. The dividend growth period is 7 years. It is also important to note that ASCA stock stopped being traded in 2013. The company was then acquired by Pinnacle Entertainment (PNK). Ameristar Casinos is one of the top companies in the resorts and casinos industry. The company develops, owns, and operates several casino facilities in both regional and local markets. Ameristar Casinos, Inc. have eight facilities in seven markets. 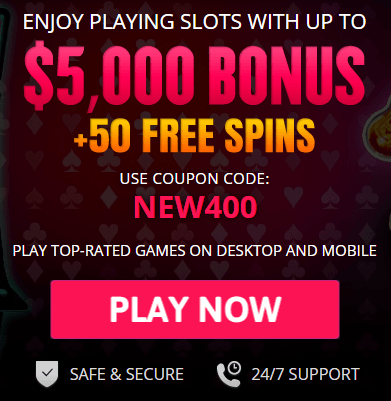 The company has an impressive portfolio of casinos, which includes Ameristar Casino Resort Spa St. Charles, which services the St. Louis metro area, and the Ameristar Casino Hotel Kansas City, which serves the Kansas City metro area. The company also owns and operates Ameristar Casino Hotel Council Bluffs in southwestern Iowa and Omaha, Nebraska and Ameristar Casino Resort Spa Black Hawk, located in the Denver metro area. There are also Ameristar facilities in Mississippi, Louisiana, and Illinois (Chicago and Chicagoland). The Bluegreen Vacations Corporation has a dividend yield of 5.23%. The price of the stock is currently around $13. The percent of the stock’s 52-week high is -50.42%. The Bluegreen Vacations Corporation is a vacation ownership company. The corporation sells and markets vacation ownership interests. The company is also responsible for managing a number of resorts in premier leisure and urban destinations. The company also offers the Bluegreen Vacation Club. The “club” is a vacation ownership plan that is flexible and based on a point system. Around 215,000 owners participate in the vacation club, as well as 69 club and club associate resort sites. Club membership gives patrons access to over 11,100 resorts and hotels due to exchange networks and partnerships. BBX Capital Corporation, a diversified holding company, owns 90% of Bluegreen Vacations Corporation. Boyd Gaming Corporation has a dividend growth rate of one year. The payout ratio for the stock is 18.5%. The price of the stock is over $26; the daily low is $18.98 and the high is $40.44. Boyd Gaming was founded in 1975 and has become one of the most lucrative gaming companies in the United States. The company has 29 operations in 10 states, including Ohio, Indiana, Nevada, and Louisiana. Boyd Style is the term the organization uses to describe its customer service philosophy, which emphasizes creating an entertainment experience that customers will not soon forget. The Isle of Capri is a resorts and casino company. 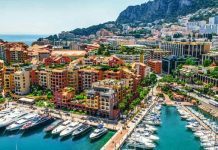 According to Dividend.com, Isle of Capri has stopped trading stocks, either changed ticker symbols or was acquired by another company. As of May 2018, the price of the stock was about $23. The company is headquartered in Missouri and has 15 casinos in several states. The facilities have a total of 250 table games and 14,000 slot machines. The Isle of Capri also offers luxury hotel accommodations to gamblers. There are 23,000 hotel rooms total on all the Isle of Capri properties and 36 restaurants. The Isle of Capri Casinos was previously Kana Corporation and was founded in 1990 by Bernard Goldstein. The current yield for Las Vegas Sands stocks is 5.47%. The stock price is $56.26. Las Vegas Sands has an annual dividend of $3.08; the 52-week high is 79.84 and the low is 56.54. The stock has proven to be lucrative, and the dividend growth is about six years. The Las Vegas Sands Corporation is headquartered in Paradise, Nevada. The company offers quality accommodations and a wealth of entertainment and games. The facilities also feature exhibits and convention centers for business events and trade shows. There are several clubs and restaurants at Las Vegas Sands, and the company has locations around the world. There is even an art and science museum at the Singapore location. Las Vegas Sands is the largest worldwide casino company and has a number of resort locations in the U.S. and Asia. The U.S. properties include the resort on the Las Vegas Strip, the Palazzo, and The Venetian. The corporation also offers Sands Casino Resort Bethlehem, which is located in Pennsylvania. The most recent report from the corporation is Marina Bay Sands in Singapore. Las Vegas Sands has a majority-owned subsidiary, Sands China. 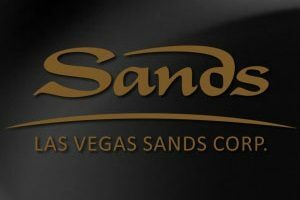 Through this subsidiary, Las Vegas Sands has a number of Macau properties. These include Sands Cotai Central, Sands Macao, and the Venetian Macao. The current yield for the MCRI stock is 0%. The price of the stock is over $42 and the 52-week high and low is 79.84 and 56.54, respectively. Dividend.com states that there was not a payout increase in the stock last year. Monarch Casino and Resorts Inc. is known for offering modern gaming, entertainment, and dining facilities. There are also several amenities on site that make it easier for patrons to relax and enjoy their stay. The resort grounds offer several rooms and facilities for professional conventions and meetings as well. The company owns Atlantis Casino Resort and Spa in Reno, Nevada. Monarch Casino and Resorts also own Black Hawk Casino in Colorado. A number of gamers are familiar with MGM since it has such a huge presence in Las Vegas. The stock has a 52 week high and low of 38.41 and 29.37, respectively. The MGM stock has a current yield of 1.69%. MGM is a public company that was founded by Kirk Kerkorian in 1986. The company headquarters is in Paradise, Nevada. 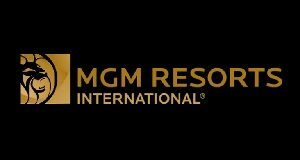 MGM Resorts International also owns properties in New Jersey, Detroit, Maryland, and Mississippi in addition to its Las Vegas locations. The corporation is known for resorts like the Bellagio, MGM Grand, the Mirage, and Mandalay Bay. MGM is known for impressive resorts and ornate game rooms in other parts of the world as well. The company has interest in the MGM Chinese Holdings Limited, which owns MGM Macau, and casino and resort property. The most recent price of this stock is $21.24. The dividend yield is 2.70 and the annualized payout for Melco stock is $0.57, which is paid quarterly. Melco Resorts and Entertainment Ltd own, operate, manage, and develop casino facilities. There are several resort amenities on site, as well as entertaining game rooms, quality restaurants and other forms of relaxation that tourists and gamblers will enjoy. The company is based in Asia (Central Hong Kong), where the gambling market is booming. 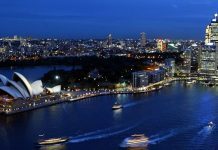 According to Bloomberg.com, Melco’s CEO Lawrence Ho has plans to open up more facilities in Japan. 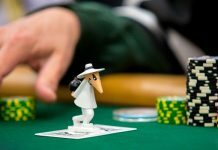 This comes after Japan’s legislation recently passed a bill that makes owning and operating casinos legal in the country. Next articleIndiana Reviews Gambling Legislation and Propose a Shift in Casino Sites.